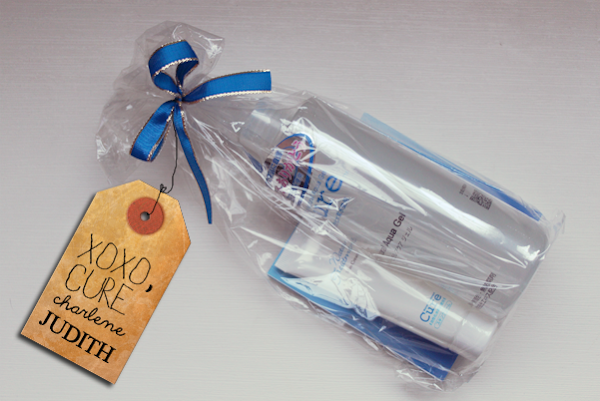 GIVEAWAY: Cure Natural Aqua Gel's 10th Anniversary! Cure Natural Aqua Gel is known for her 'amazing ability to remove dead skin cells gently and effectively to help in skin renewal for softer, smoother and brighter skin'. Since her launch in Singapore 4 years ago, Cure Natural Aqua Gel has also made her way up to the top facial exfoliator in Watsons! And of course, this calls for a celebration!!! *pops champagne* Japalang, the official distributor of Cure Natural Aqua Gel, will be holding a 10th anniversary giveaway of 600 exclusive Cure Water Treatment Skin Cream! 1. Purchase Cure Natural Aqua Gel at Watsons from June 13th to July 23rd. 2. Take a snapshot of your receipt. 2. Email the snapshot, your name, mailing address and contact number to enquiry@japalang.sg by 23 July 2012. 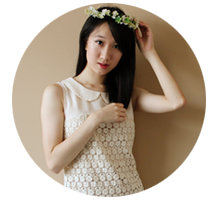 And now, *drum rolls*... Japalang is sponsoring one of my readers (Which means YOU! 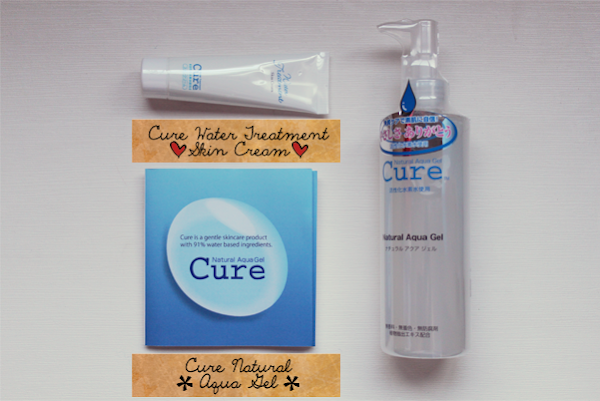 :D) a set of Cure Natural Aqua Gel and Cure Water Treatment Skin Cream! 1. Tell me why you want to win the set. 2. Leave your email address. I heard that the Natural Aqua Gel is really effective. Would love to test it out myself and see if it is really that good. 2. Because i have sensitive skin . I can't use products that harsh on my skin Hence , i have difficulty to find an exfoliate skin care that suitable my skin condition . I want to win this product because the hydrogen water effectively removes dead skin cells,& It promotes healthy skin regeneration and maintains good skin health which eventually helps prevent skin problems. Also, CURE is natural that made up with 90% activated hydrogen water with suitable my sensitive skin! AM i too late? I am too late right?